On Tuesday, 21st of February, 2017 a ’Day of Joy’ was organised within the ARTPAD project by Rogers Foundation to share the results of the project so far with stakeholders. 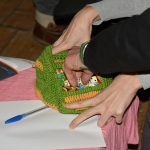 Attendees were introduced to the Best Practice Guide and participated in parallel workshops about play, games and drama. The event was held at RS9 Theatre, which was one of the organisations Rogers Foundation has introduced as a best practice – this way our cooperation was strengthened further. There were 35 professionals participating at the event, coming from all over Hungary. Among them were representatives of national educational institutions and networks, such as the Hungarian Institute for Educational Research and Development, as well as practitioners, teachers and youth leaders, both from public and higher educational institutions, psychologists and trainers. 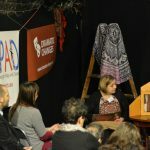 The event was officially opened by the president of the board of Rogers Foundation, Magda Draskóczi, followed by a short presentation about RS9 Theatre by Katalin Lábán. After the opening words, Virág Suhajda has introduced Rogers Foundation and the ARTPAD project, and Zsuzsa Vastag presented the Best Practice Guide and the central principles found throughout the research phase of the project. The participants were invited to look at all the themes and methods presented during the day keeping in mind the principles, and evaluate in what forms are each principle relevant to the given methodology/approach. Three workshops were held both about play and games, and about drama. Regarding play and games, the first session explored the possibilities in using board games for educational and personal developmental purposes. Participants had the possibility to hear about theoretical approaches and also to try out different games in practice, discussing their benefits when playing with children and young people. Secondly free play was introduced. The participants got to know the approach of play and the importance of understanding the role of adults in children’s freely chosen activities, as well as discussed issues of health and safety and ways to differentiate between danger and risk. 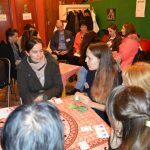 Finally at the third workshop an educational card game was presented, called ‘Morality – What would You do?’. It is a tool to use with adolescents to discuss moral and ethical question through a game. Regarding drama, the first workshop was focusing on RS9 Theatre’s program about creative writing and drama camps. These one-week camps are organised during the summer, where children have the possibility to participate in writing their own play, rehearsing it and then present it to their parents at the end of the camp. The attendees of the workshop tried this method by forming small groups and sketching and presenting a scene. The workshop ended with a reflection about the experience and a discussion on the effects of such programs on children. 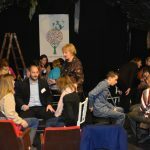 The second workshop was called „Dramatic Changes”, where Rogers Foundation has introduced a good practice about using dramatic tools to help develop young people’s employability skills. Participants tried some drama games and discussed ways they could use such methods with their groups of young people. The third workshop was focusing on the power of tales and ways to act a tale or story in a dramatic way. Participants of this workshop listened to a folk tale followed by processing it dramatically. The event was closed with a common discussion about the program of the day, where each participant had the chance to express their thoughts and feelings about the workshops, to reflect on the presented methods and approaches and explore how the central principles of the Best Practice Guide are relatable to them. According to their feedback, the Day of Joy was a success, as stakeholders left inspired and motivated to use some of these methods and approaches in their work, to learn more about our projects and also they had the chance to discuss issues with their colleagues.